I suspect that most users cannot afford to purchase multiple Bible software programs–buying a program and mastering it takes time and money! 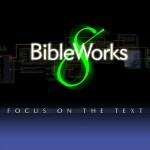 How does BibleWorks compare with similar products offered by other companies? The respective versions of Accordance and Logos below reflect the versions of each which offer similar capabilities as compared to BW8. Prices are retail rates, but be sure and check for discounts. If you’re on a mac and don’t wish to use Windows, Accordance is your program–look no further. I enjoy Accordance, and mac users will find it to have all the ‘mac-ish’ features mac lovers look for. Unfortunately, like a lot of things in the world of macintosh computing, your dollar won’t go quite as far. Compared to BW8, the Accordance version above is a bit skimpy in terms of modules (see contents here), though many add-ons are available at a price. I’ve just begun playing with Logos 4 (having upgraded from version 3 recently). This program is truly a library, and the latest version is notably faster than the previous. The original languages library does not include as many English Bible versions as BW8, though it does include various other resources not included in BW8 (see contents here). Unfortunately, I will have to save comments on these resources until I can test them further in Logos 4. My bottom line advice for PC users looking at Logos and BW8 is to choose a program based on your needs. If you want to dig into the original languages and build a library of commentaries and other resources, Logos may serve you best. 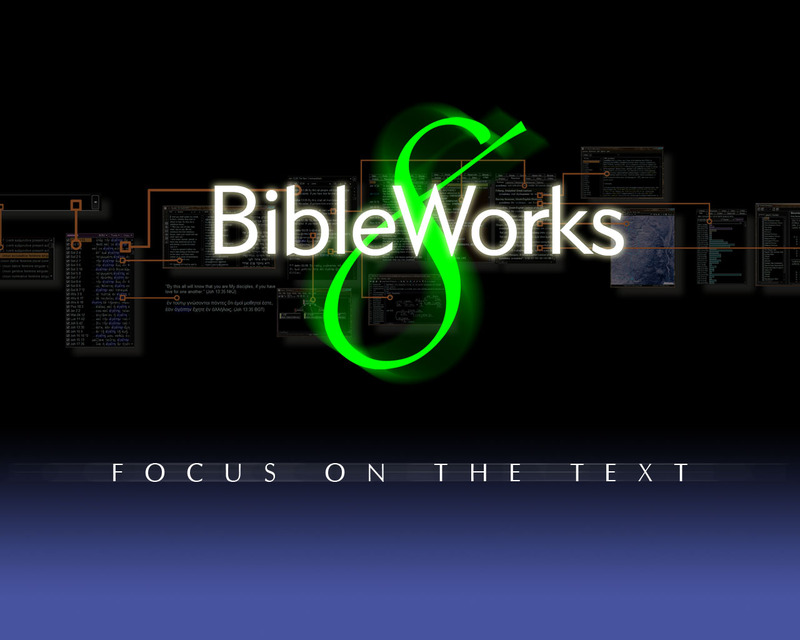 BW8 is streamlined for the study of the biblical text. BW8 includes the most English Bible versions out of the three programs, helpful for translational comparisons. Of course, other versions are obtainable in the other programs as add-ons. BW8 also contains Wallace and Joüon-Muraoka, two nice original language grammars (see full contents here). As mentioned previously in this review series, I love BibleWorks’ analysis window, tab set-up, and instant details capabilities. Be sure and read part 1 and part 2 of this review for more information! For the capabilities and number of resources that come stock, I believe BW8 will give you the most bang for your buck. It’s only real limitation seems to be the intention of the company (as far as I can tell): it is lightweight and not intended to serve as a major library. It is rich in primary sources, grammars, and lexicons, though add-on secondary resources are not many in number.